morning and a stapling party in the office! and, with less than 4 penalties between them, it’s all to play for tomorrow. tomorrow, as Slaney Ronan and Really Rich are very close behind on 50.8. 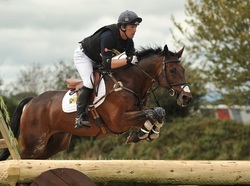 (Mac Carrick) each picked up 0.8 time faults but are very close behind on 32.5.
shot at the €50,000 Goresbridge Go for Gold bonus next September so no pressure!!!! penalty point separating them, so that’s going to be another really exciting battle. place today and start tomorrow on a score of 52.1.
seeing who takes home the honours tomorrow. See you then!